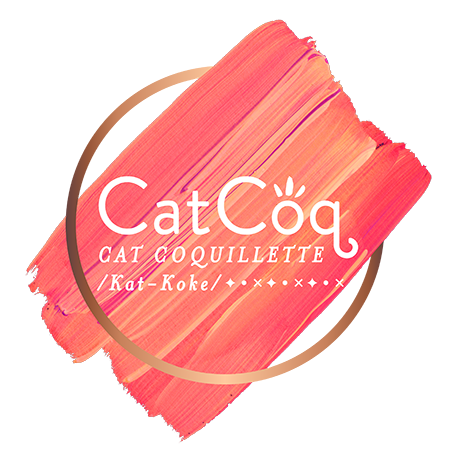 Jewel Branding & Licensing (JBL) is excited to announce that they have signed trendy, free-spirited design & influencer brand, CatCoq, for global licensing representation. JBL officially debuts the brand at the upcoming Surtex show in New York, February 3-6 at Jewel Branding’s booth 3581. My interview on the Ladies on Ludlow podcast is officially available! 🎙On the latest episode, I speak with host Madelaine about how I got started as a digital nomad artist and left my hometown of Kansas City for Chiang Mai, Thailand. I chatted with Society6 about my creative inspiration, nomadic lifestyle, and carving out a career as an artist. I'm thrilled to announce that CatCoq is officially one of Target's retail brands! I have a selection of art prints and framed artwork available through their home decor category. Most people know Lauren Conrad as the star of MTV's hits "Laguna Beach" and "The Hills" but she is also an accomplished designer, lifestyle blogger, New York Times best-selling author, and incredibly successful businesswoman. I'm so honored that she chose my words of business advice to share with her audience. CatCoq Featured in New Season of "Queer Eye"
Imagine my surprise when I was watching my favorite Netflix show and noticed something familiar– my Eat Well, Travel Often artwork was incorporated into the interior redesign of an episode in the newest season! Last week, I had the opportunity to give a presentation in NYC, hosted by my friends at Skillshare. I spoke about how I transformed my side-hustle (painting) into a thriving business that allows me to travel the world full-time. Coworker.com reached out to interview me for their "Coworkers of the World" series. If you're a location-independent entrepreneur, chances are you're already familiar with Coworker.com. They connect people with awesome coworking spaces around the world. No matter where you are on the globe, they make it easy for entrepreneurs to find a workspace and community where they can thrive. Skillshare periodically features their top teachers in one-on-one interviews, which helps to demonstrate the broad depth of creatives and professionals who have have found success on their platform. After both of my classes made it into the Best Classes of 2017 List, they reached out to me to understand more about my journey as a creative and educator. I was profiled by Buzzfeed for their latest article featuring limit-breaking female founders. I joined alongside 98 other entrepreneurial women who are making a name for themselves in their industries. We shared our stories, including the lessons we've learned and the best advice we have to share for others making similar journeys. Over the holidays, KC Live contacted me to see if I was interested in appearing on their holiday special for a guest interview. My response was an enthusiastic "YES". Kansas City Live is an hour-long show that spotlights the people, places, trends and local attractions that make KC such a great place to live. Every January, Skillshare announces their curated "Best of" list, where their team hand-selects the top fifteen classes in two categories: Creative and Business + Tech. I'm so excited to announce that both of my new classes made the cut and I was featured in both lists! I've officially launched my newest online course! It’s packed with tips to help you make money selling your artwork online. Getting involved with art licensing is an excellent way to boost your passive income and my class is filled with tips to help you make your first sale online as well as boost your sales if you’re already established! Society6 asked me to put together a list of my top ten best resources for artists looking to grow their art skills. Check it out here. One key factor for succeeding as an artist is continuing to grow your creative skillset. My portfolio has evolved tremendously over the past few years. I’ve improved my painting techniques, learned time-saving shortcuts, established a solid aesthetic, and kept up with market trends. Utilizing the right resources was key in this journey. I had the opportunity to chat with 435 Magazine about my CatCoq brand, travel plans, and what inspires the artwork I create. The story is published in their October issue, but you can also take a peek at the article online. My first class is officially live! I teamed up with Society6 & Skillshare to create a course dedicated to teaching artists + designers tips to boosting their passive income through selling artwork. After months of prep work, shooting in NYC, and working through final edits from across the world, I'm so thrilled with how everything came together. My course is FREE & open to anyone who wants to learn! I recently had the opportunity to chat with Johnny FD about my life as an artist-turned-digital-nomad. Johnny hosts the Travel Like a Boss, a podcast about how to travel like a boss by being your own boss. "Digital Nomad" is a term for those of us who are location independent and use technology to perform our jobs. We work remotely thanks to accessible and cheap internet access around the world.